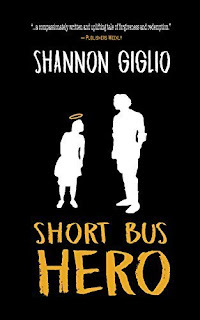 If this year has you stressed out and you want to escape into a novel where redemption and love triumph, set aside a few hours and sit down with ‘Short Bus Hero’ by Shannon Giglio. It’s a heartfelt yet unflinching story about Ally Forman, a young adult with Down Syndrome, and how she affects the world of those she loves with an out-of-the-blue lottery win. Twenty-four-year-old Ally lives with her father, mother and brother. 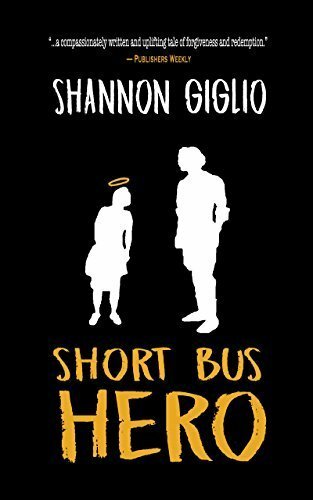 She has a job, a boyfriend, a circle of friends called the Cool People, and a guardian angel, who narrates the story. She also has an obsession with pro wrestler Stryker Nash, whose career has seen better days. But the literal luck of the draw—the ticket was a holiday gift from a relative—turns all their lives upside down. Ally’s mother, Lois, wants those millions to be set aside for Ally’s future, so she won’t have to worry about Ally’s care after she’s gone. But Ally has her own ideas, and they all revolve around getting Stryker Nash back into the ring. After Stryker is dumped by the wrestling circuit, the chance to grab some free cash and run feels like a perfect opportunity. He doesn’t know nothing gets past a sharp-eyed angel with a bag of tricks. Sound a little crazy? Maybe. But Giglio grounds her fantastic story with realistic care: Ally isn’t an airbrushed personality. She has meltdowns, forgets about her own hygiene, and gets bullied at the grocery store where she works. Lois loves her daughter, but her own inner struggles manifest in hoarding. And Stryker? He has his own dark secret buried so deep, even an angel has to work hard to reveal it. This review originally appeared on the Huffington Post.